Get those costumes ready one more time for a spooky adventure. 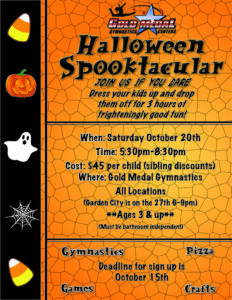 Games, gymnastics activities, and pizza are all part of the fun. Signup early before we fill up! 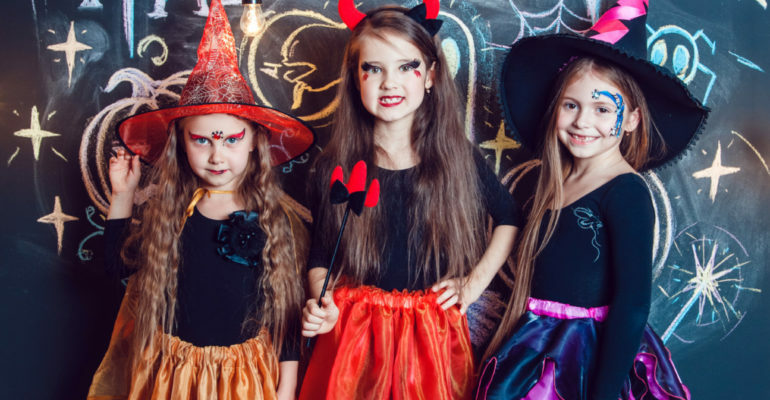 October 20th, 2018 (5:30pm – 8:30pm) for Huntington, Smithtown, Centereach, Rocky Point & Levittown Locations. 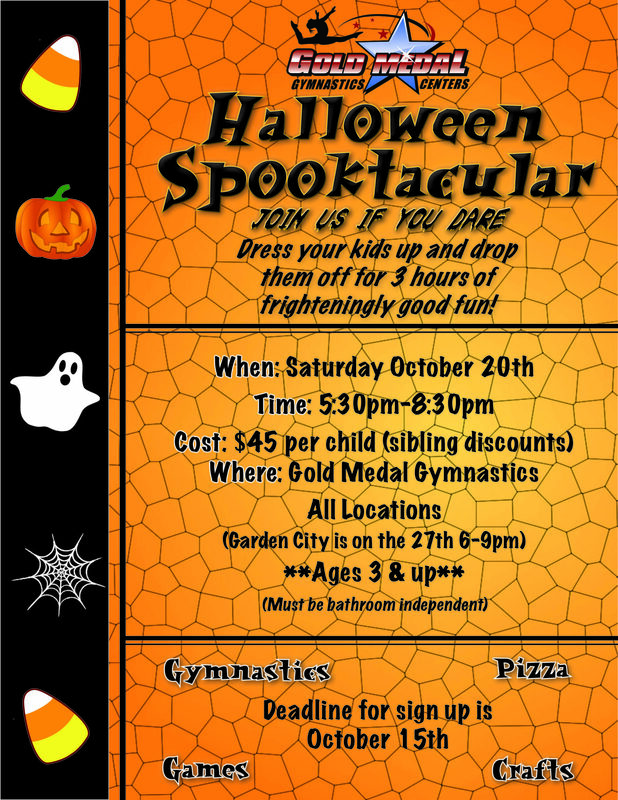 October 27th, 2018 (6:00pm – 9:00pm) for Garden City Location. Ages 3-12yrs (Children must be bathroom independent).